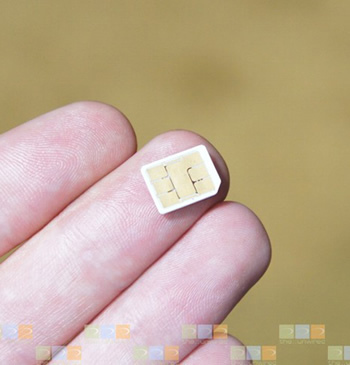 The future of tiny SIM slots everywhere hangs in the balance as Apple, Motorola, RIM and Nokia continue deliberating over what the next nano-SIM standard will be. Not content with other offerings, Apple is now promising its own design will be royalty-free barring one tiny stipulation: everyone needs to adopt it as the de facto nano-SIM card standard. Almost certainly, many industry players would like nothing more than a royalty-free standard. However, there are some reservations about Apple's designs. For starters, according to Nokia, Apple's "nano-SIM" actually has the same width and length as a micro-SIM. Not only does this sound like a non-improvement, but Nokia claims it is concerned about users inserting micro-SIM cards into nano-SIM slots and getting them stuck. Another point of contention seems to be that Apple's design requires a tray mechanism. This adds to the bulk, complexity and cost of devices which would house a nano-SIM card. It's interesting to note that both the iPad and iPhone currently sport a tray design. An ETSI (European Telecommunications Standards Institute) committee will be voting this Thursday on what they believe the next standard should be. Even if it is technically inferior, a royalty-free design may score big points with the panel. Some may remember Apple's IEEE1394 (Firewire) standard. While technically superior to USB in both speed and features, Apple collected a handsome royalty ($1) for each Firewire device sold. Firewire's tepid adoption is often attributed to those royalty costs. USB on the other hand, despite its disadvantages, was essentially free to license and became ubiquitous seemingly overnight -- even for Macs. Although Apple did decide to stop collecting royalties around the turn of the century, USB 2.0 was already upon us. It was too late and the majority of the world seemingly forgot about Firewire. With that in mind, even if Apple's design isn't chosen, perhaps other companies will be pressured into offering their nano-SIM designs on the house.